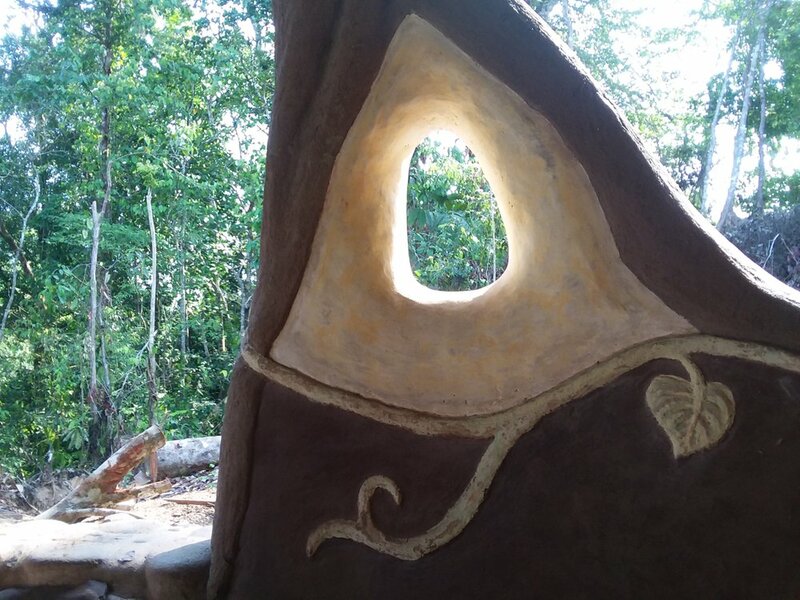 Costa Rica: Let's Visit a Sustainability Education Center. 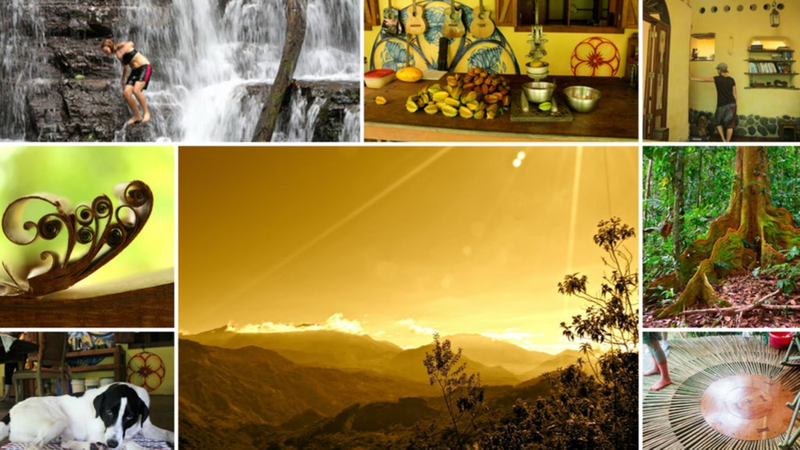 True Eco-Tourism begins when you visit places like Rancho Mastatal. After an awesome bus ride, in which our four year old mini human did really well and had a lot of fun, we landed in a small village called Mastatal. 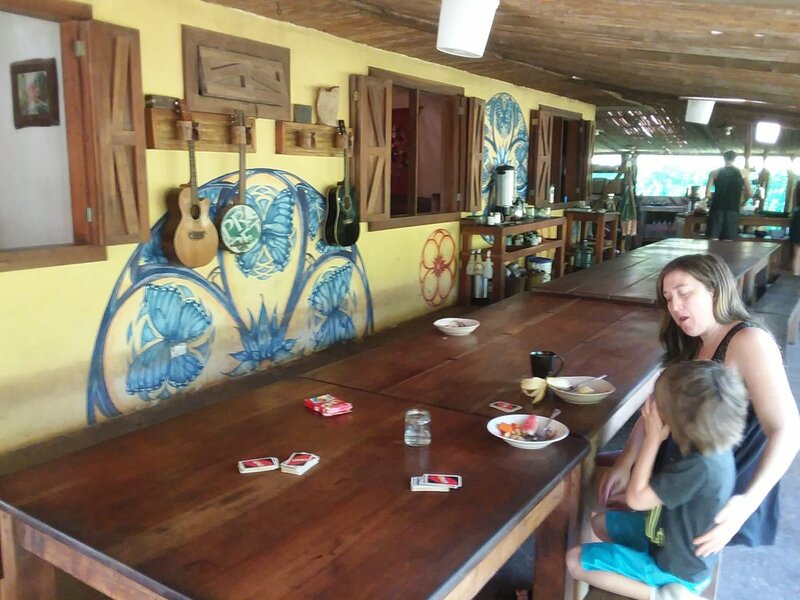 Here we were visiting a group of people who have been experimenting with communal living, permaculture, natural building and sustainability for eighteen years. I was inspired beyond my imagination. National Park and protected native land, so they're pretty sure to not have much development popping up all around them! 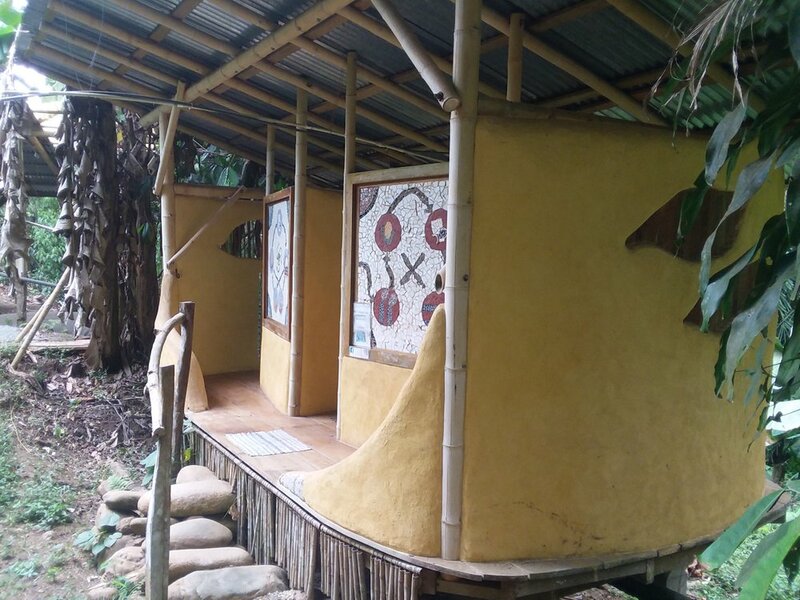 Over the years, to become an education center, they chose to focuse on a few skills: natural building, fermentation, agroforestry, permaculture and furniture building. Being completely self-reliant wasn't helping the local economy, it was taking too much time from educating and they wanted to integrate into the local way of life as well. 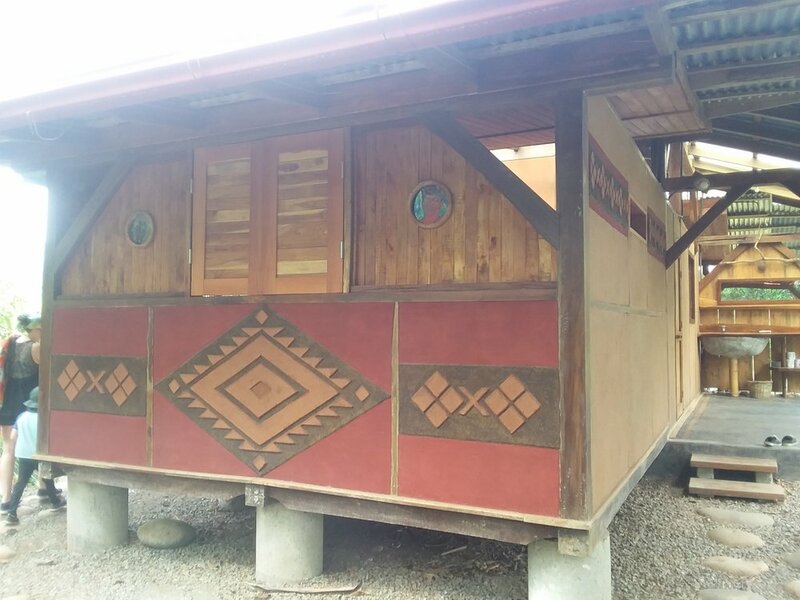 A lot of places built by foreigners in costa Rica have kind of become these pockets of rich exclusive communities that only drive up the price if life. 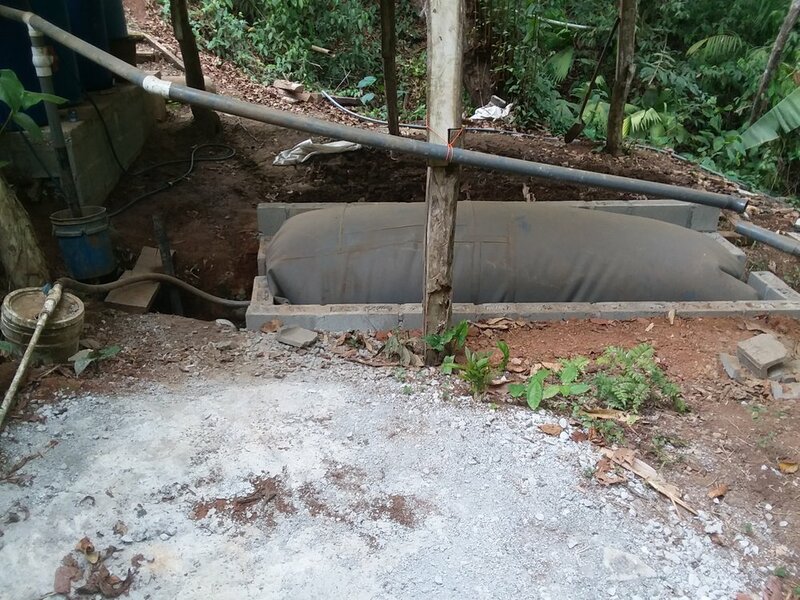 Integration has been the most difficult part of the project, but they really seem to have found a way. On arrival at the Ranch. 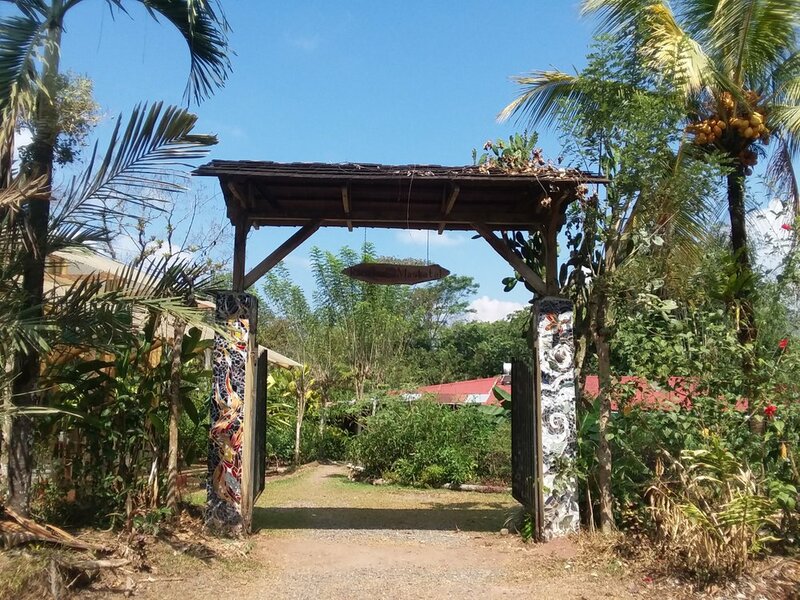 My first impressions were feelings of health and beauty, we walked in through a decorated gate and a green garden to get to the main house, where the abundance of natural materials for building with was clearly the norm. When someone found us looking around we were welcomed with smiles and after a quick check in we were being lead to our dwelling in which we were going to spend the next few days. Once inside I had an imidiate feeling of beauty. 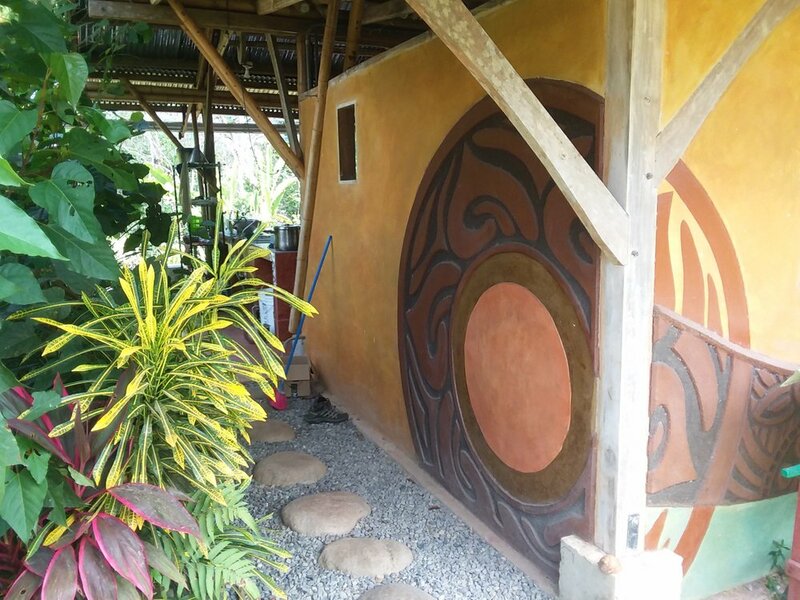 The smooth lime plastered walls in this new timber frame construction and the earthen floor made this place smell so good and fresh, I knew that a natural construction like this one would be our home one day! 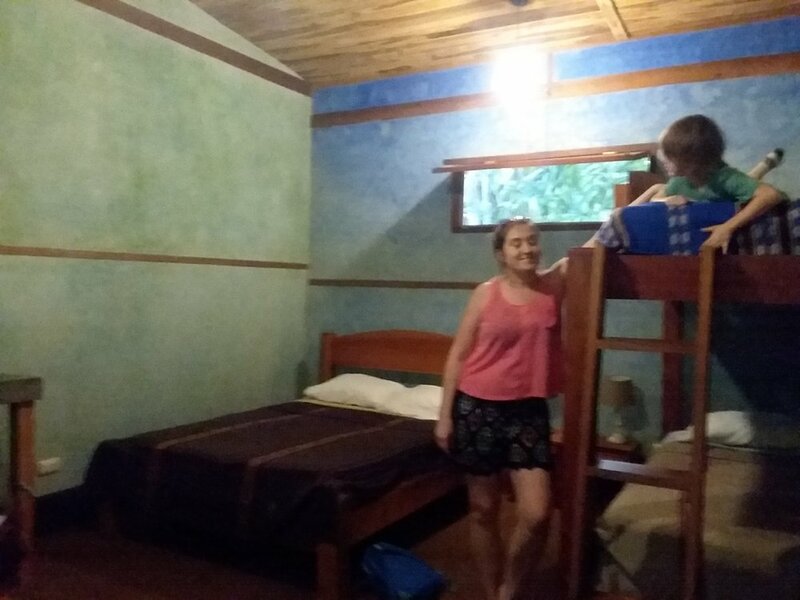 We arrived in the late afternoon, settled in and took a quick look around near our new living space. 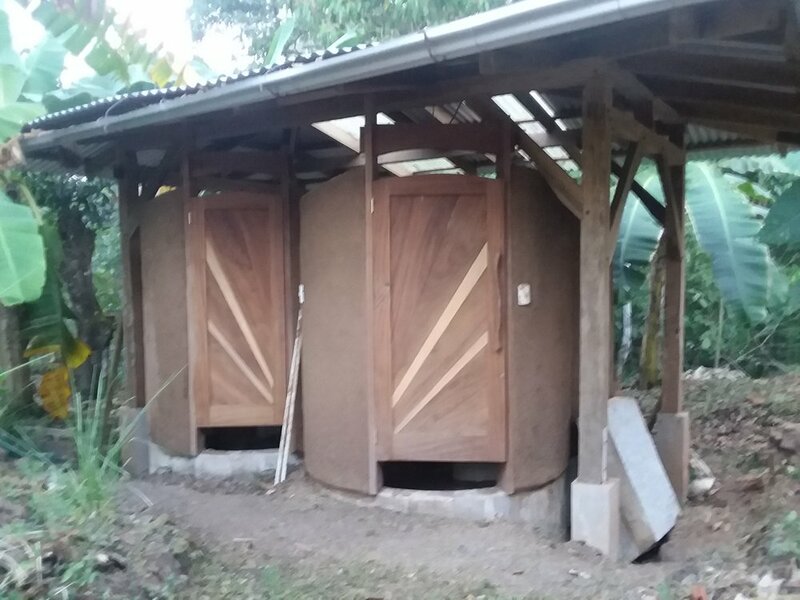 There were two showers and a compost toilet being built as part of an amzing one year apprenticeship program. 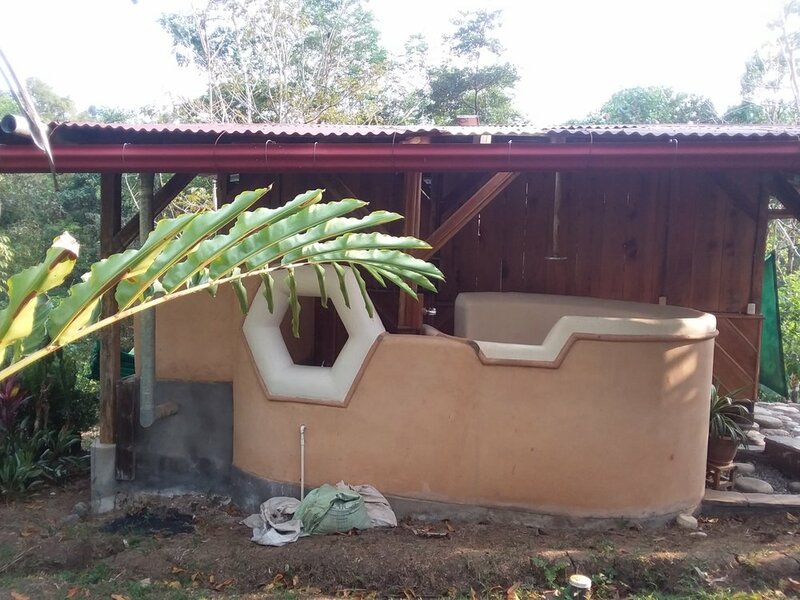 The showers, made of earthen walls, under a timber fram roof structure, will be finished with a Tadelakt Plaster that is water proof and so completely pleasant to look at. 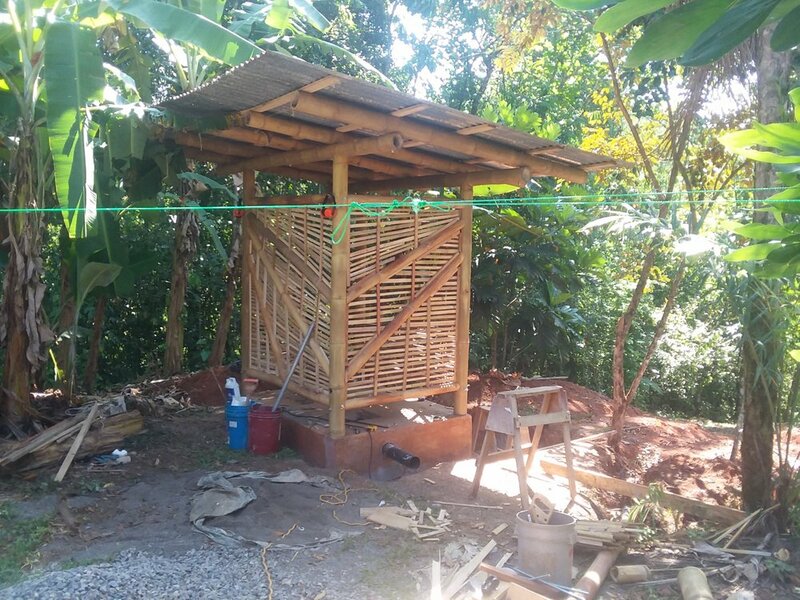 The compost toilet is a bamboo structure built mostly with scrap material from other projects. 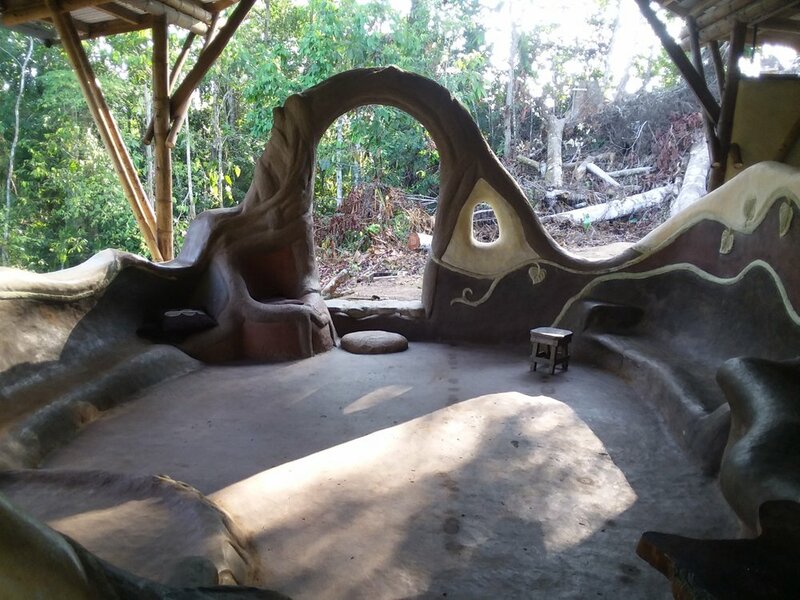 It will be finished in a Japanese wattle and daub technique that uses a fermented straw and clay mixture, which eliminates the need for imported sand. You can see how gorgeous it's going to be with the larger pieces of bamboo exposed and a nice curve on one wall. 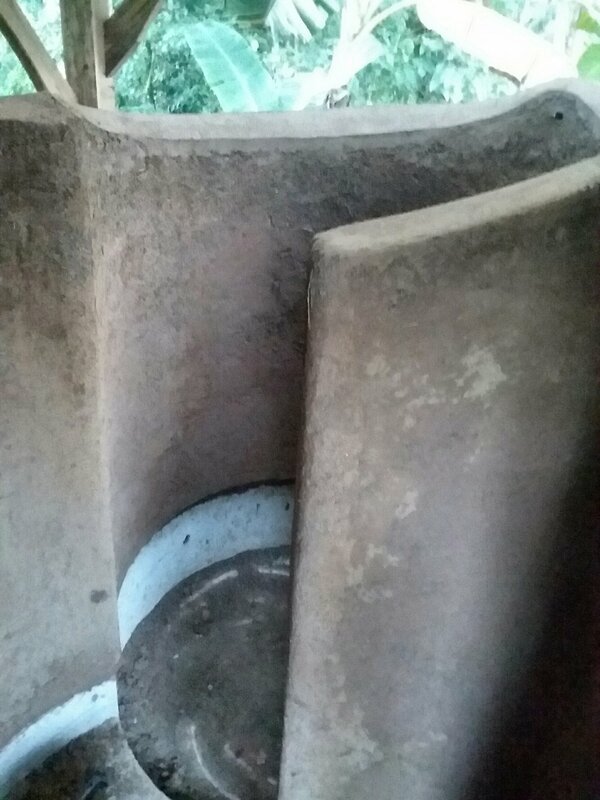 There's something about earthen structures built with curves that I really like... I'm not sure what it is but I know it's very pleasant to look at and be around, there's something really relaxing about it. Our first evening there was met with smiles and open arms. A delicious dinner was prepared for everyone on site. There were about twenty people including apprentices, who are spending a year on the ranch, community members and guests. 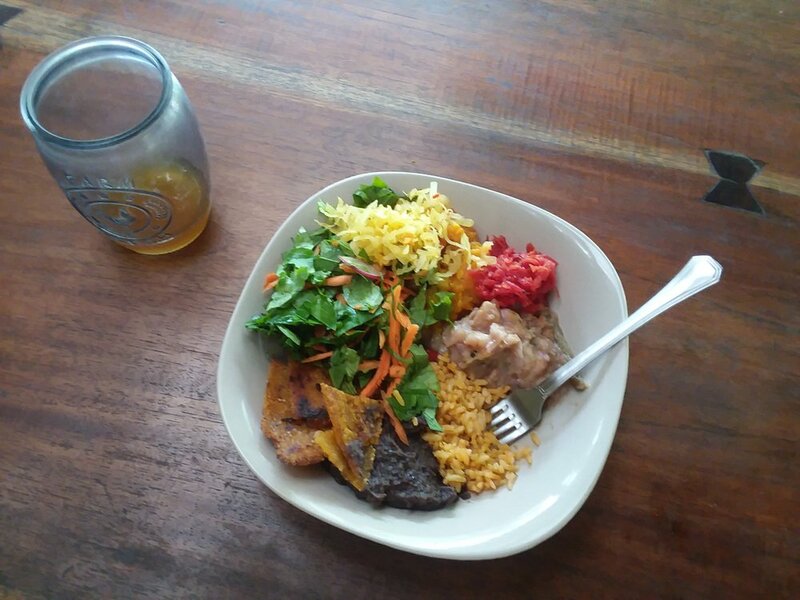 The meal started with everyone holding hands, a few people expressed their gratitude and we ate a wonderful dinner made from all organic and locally grown foods. They cook with local lard instead oil because it would have to be brpught in from much further away, all the greens and some fruits are grown on the ranch. Grains and sugar come from near by farms and they produce lots of fermented condiments and a little alcohol. Everything was delicious!!! 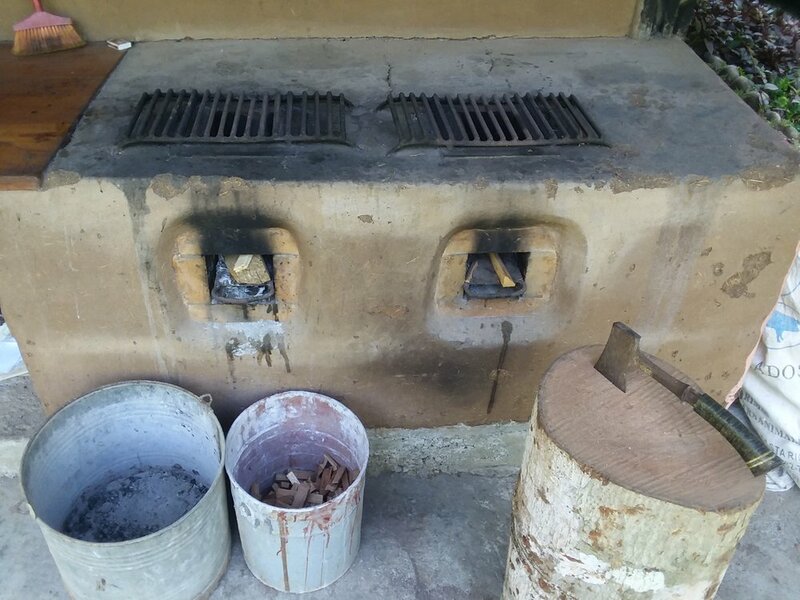 Everyday, we ate like kings and slept like babies and they mostly cooked with methane from their biodigester and wood on built rocket stoves. Tim took us on a tour of the ranch, it was really inspiring and confirmed our dream of building something similar, isn't completely insane. 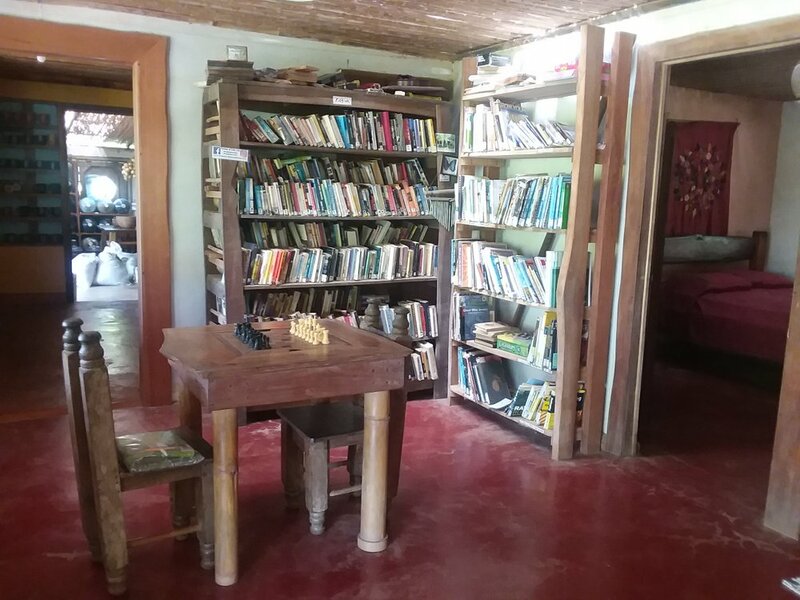 I can see clearly now that our multi-family homestead can become an education center with all the permaculture principles and a community setting. We definitely want a huge dining table like this one! All the structures they built over the years through workshops and their apprenticeship program are incredible. They're not only beautiful but they are all works of art and built with the intention to inspire. 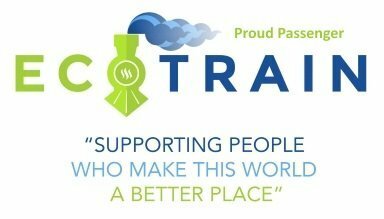 The apprenticeship program blew me away, first of all it's one year long, a good length of time to get really familiar with different aspects of living sustainably. And secondly, the curriculum is amazing, students have the opportunity to learn skills in natural building, sustainable agriculture, homesteading and community development. 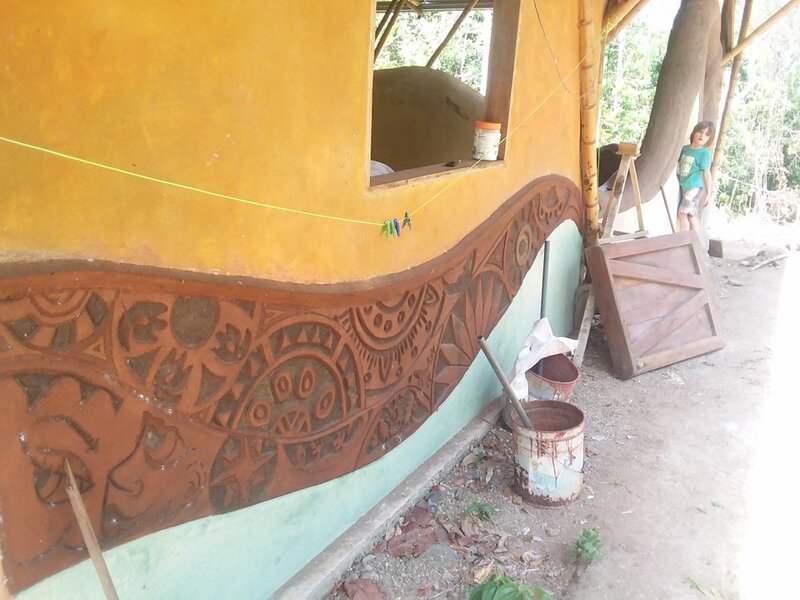 The ranch will teach them furniture building as well as fermenting foods! There are many other skills being shared, but these are the most important ones they have developed over the years as part of their curriculum. This place really is like a laboratory for experiments in community, sustainability, self reliance and fermented foods. 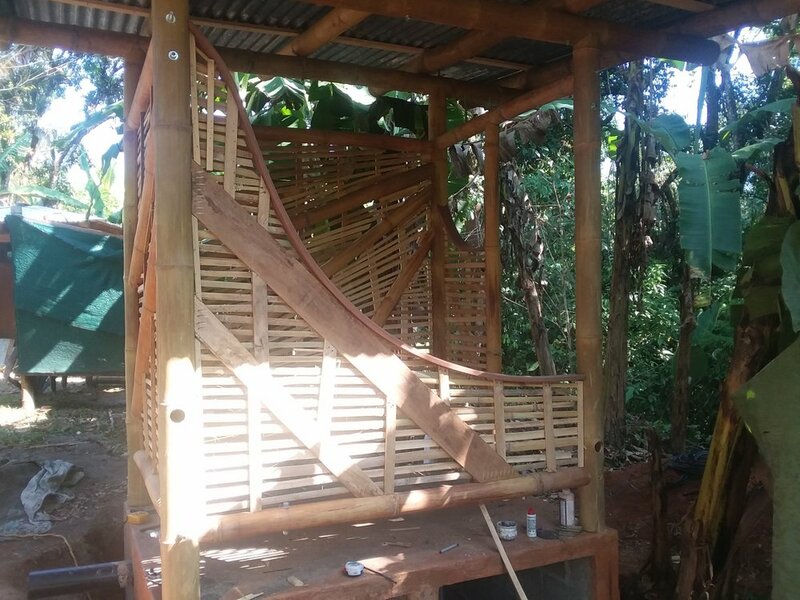 It gave me so much confidence for our own project and confirmation that we're not completely crazy for wanting to build a place that teaches and inspires a life of self reliance, sustainability and community. Tener derecho a algo no es lo mismo tener algo de hecho. If you want to know what really is inside this Coconut, take a look at my Humans Of Steemit. And don't forget… Dreams Come True!